If you live anywhere near Louisville, Kentucky, then you’re in luck! 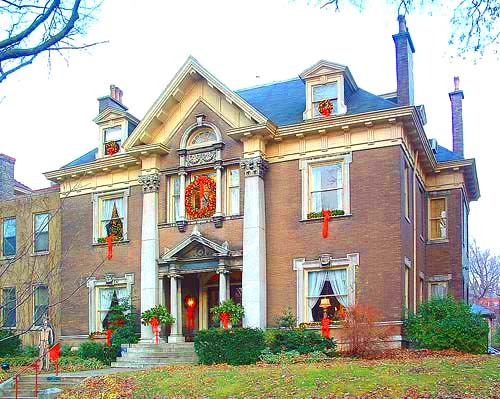 The annual Old Louisville Holiday House Tour is going on Sunday, December 7. 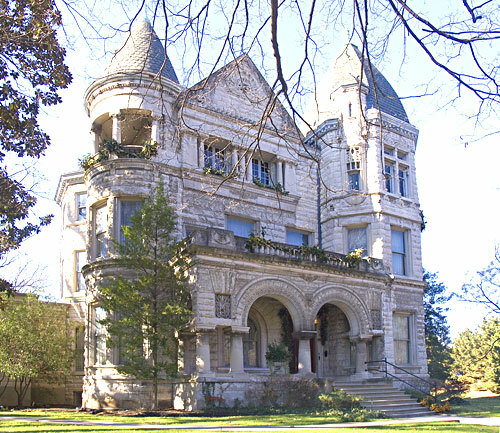 Just take a look at some of the old mansions that have been featured in past home tours in this neighborhood! Wouldn’t you love to see some of these for yourself? I would! Thanks to Derek of Derek M Design for sending me the information and pictures! For more information about the home tour, click here. Wow, Julia, those are spectacular! 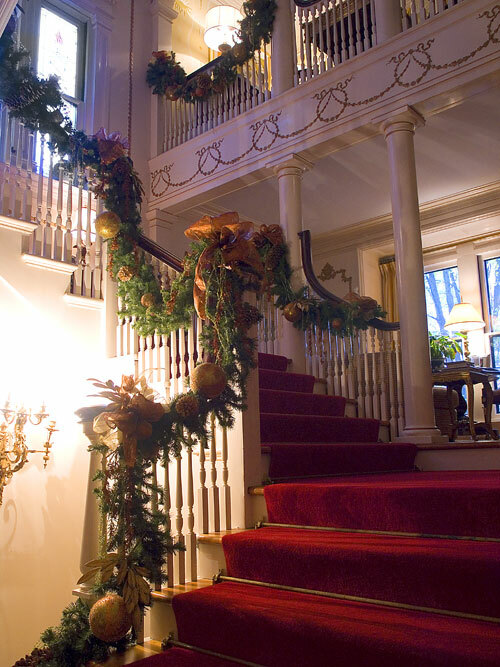 I just love all the southern architecture, as well as the Christmas decorating. Well…we are only about oh…4 hours away, Julia. I don’t think I can talk J into loadin’ up and takin’ off tonight, though. But I sure would love to see this tour in person! 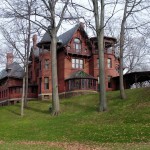 The older homes tours are my favorite! His too…but it’s getting late and the Vet is closed…so Molly would have to go along, too. Maybe next year. Incredibly beautiful architectural treasures! Thank you for showing them. 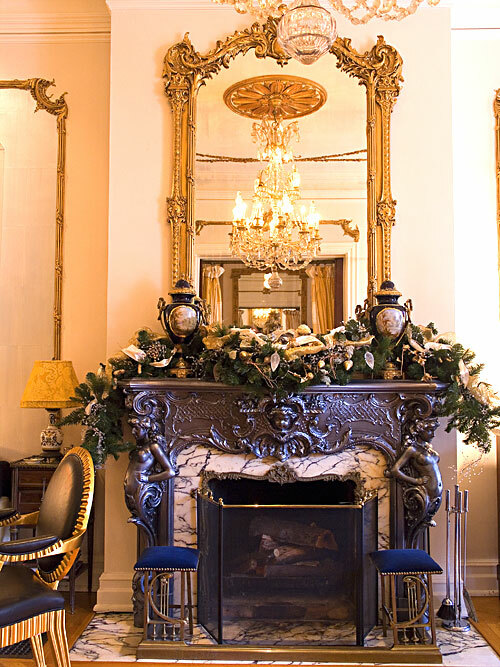 That fireplace is fabulous! I wonder what the square footage is for these houses? Oh Julia I am drooling! Wish I could tour them all! Now THAT’S a home tour. Wow! Beautiful. I need to go back and look again and again. Thanks for the tour. Wow…I wish I could see them in person, too. Thanks so much for showing our lovely mansions!! If you can’t come tomorrow, come for the Kentucky Derby or better yet, the first weekend in October 2009. 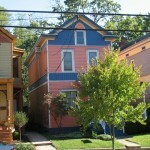 Also in September each year is a fun time to visit Louisville Ky for the Bellarmine Designers’ Showhouse. 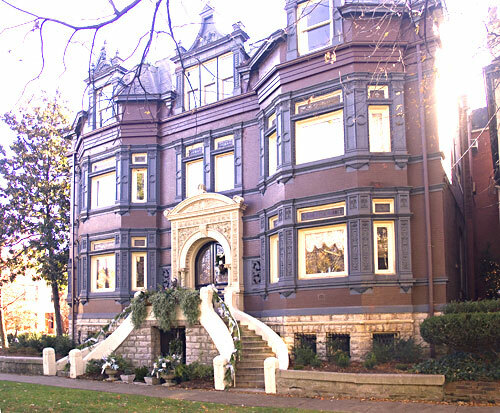 The Bellarmine women choose a different mansion each year and local designers redo everything…it’s a very big event here and runs 2 weeks. 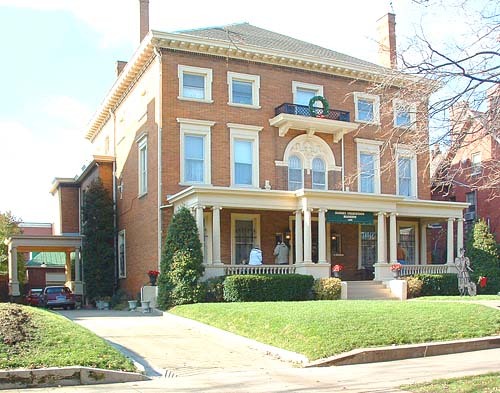 Louisville is the greatest city…fun restaurants, beautiful parks designed by Olmstead….and lovely,lovely homes. I’m willing to offer a reward to anyone in Louisville, who can get some pictures from the tour. I need the Christmas eye candy. Oh my little heart was skipping beats-I am sure of it! Wow loved those homes-just gorgeous!!! Oh Boyser!! Yhose are STUNNING and elegant homes! Just beautiful!! Wow! Fantastic! 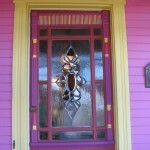 I just went on a home tour I am going to post later today….I am such a junkie for those! I adore holiday tours! That looks like a great home! Oh my! I had no idea that these homes existed in Kentucky. If only I were closer. I would love to see them in person while they are decked out for the holidays. Thank you for sharing these beauties with us. Oh, I just love home tours & did one here in B’ham yesterday. 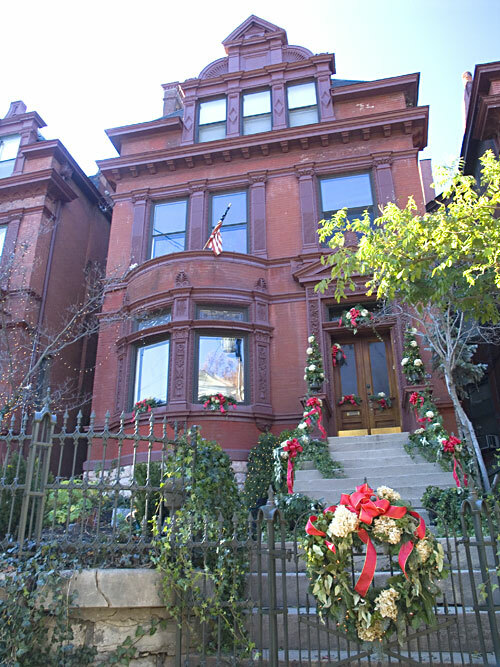 Unfortunately we couldn’t take pics, but it is always a treat to visit these beautiful old homes all glitzed up for Christmas. Hope you are having a Merry Christmas so far, Julia. Oh holy night! These are so fabulous. 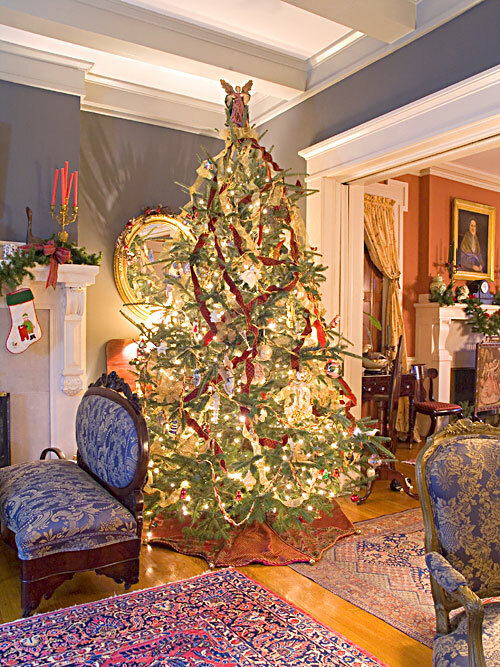 I’m looking forward to the Ocean Grove house tour next weekend…I’ll be curious to see what beach folks do with their homes for the holidays (so I can steal, er, borrow their ideas). We stayed at a Louisville B & B last year in this area. Oh what gorgeous homes. You show the one we stayed in! Louisville was a wonderful city and the old homes are so grand and lovely. 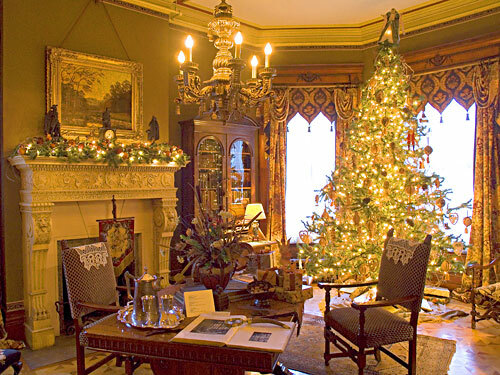 Love home tours, unfortunately there isn’t one in our town this year. Oh lordy, those houses are amazing. That red carpet going up the stairs is fantastic. Oh… I love old homes. And especially old homes at Christmas time! These are gorgeous. Thanks for sharing these! Being a California girl, it’s such a treat to look at homes that are REALLY historic. So grand, those great old places. Thanks, Julia, for the peek. 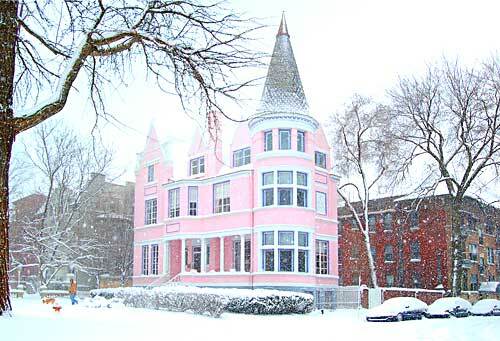 I’m wiping the drool of my computer as I type….. Those houses are incredible!! Wowzers! What southern charm. Loved the tour.